Makeup Revolution has definitely become one of my favourite and most used makeup brands, they are always bringing out new products and I love their social media interaction. My first MUR order was a haul of make up, you can see what I brought here. In that haul was a Ultra Velour Lip Cream in shade 'Say yes, it's what we do best'. Looking on the MUR website I discovered that not only do they have lip creams but also do matte lip shades. 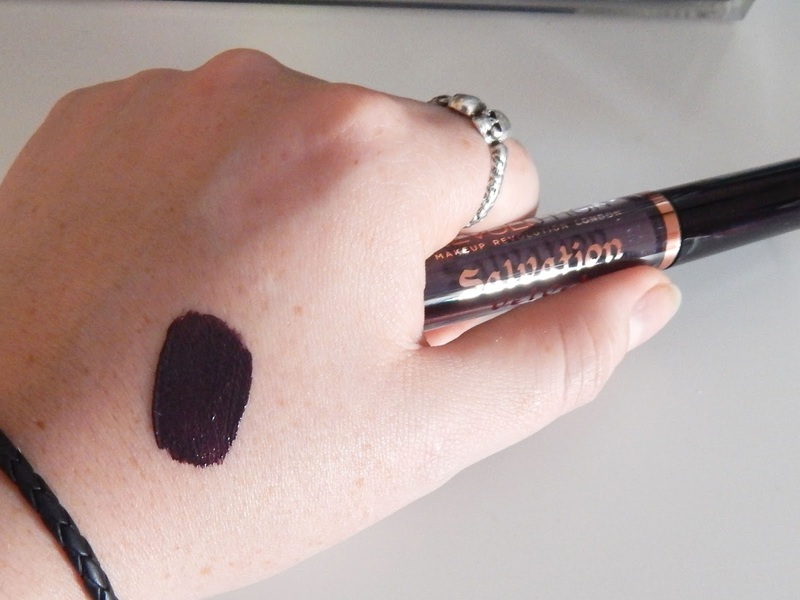 I noticed that MUR had an almost black shade in the Salvation Velvet collection, I've been looking for a matte black lip shade for months now but not been able to afford the ones I'd seen online. MUR's lip lacquers are priced at just £3.00, which is a great for the quality and choice of colours too. 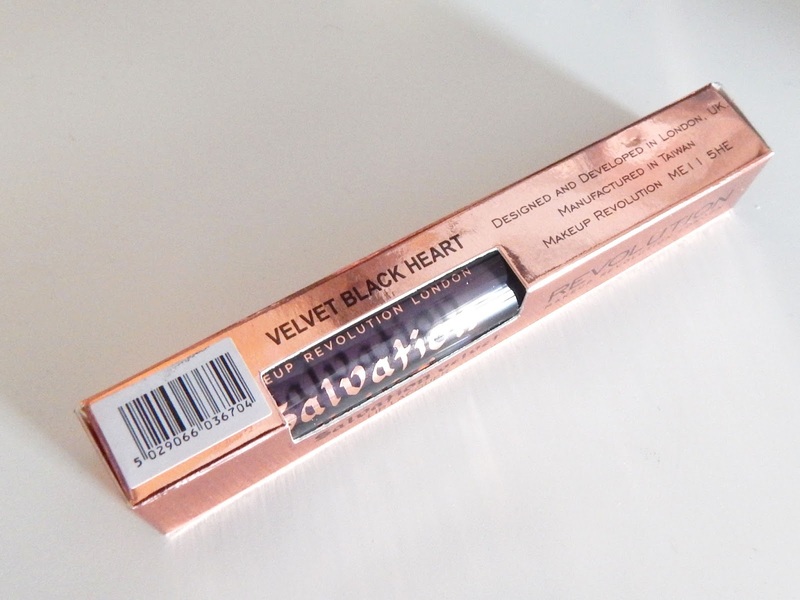 Superdrug sell MUR products so I brought the Black Heart shade along with Depravity on my last visit. 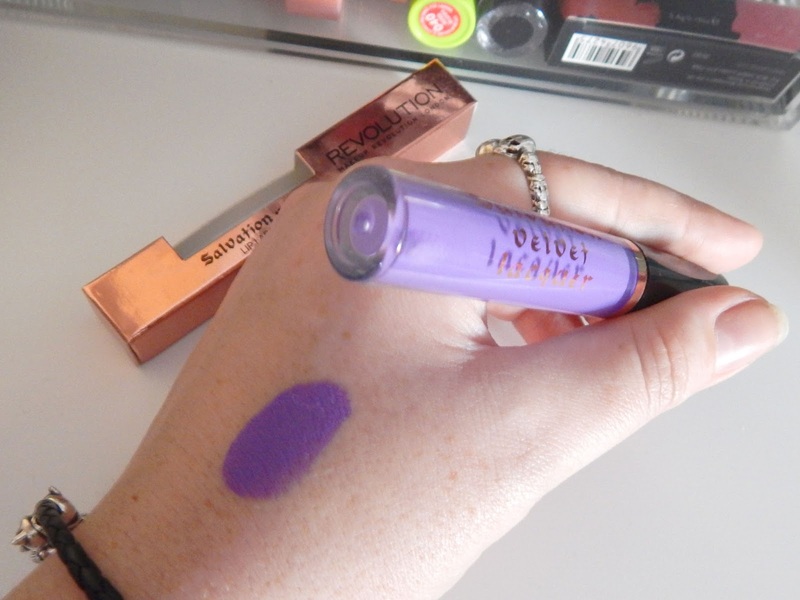 This purple shade to me is definitely a dupe for Jeffree Star Cosmetics 'Blow Pony'. It's almost the same colour so until I can afford a Jeffree Star Velour liquid lipstick; I'll be using this MUR Depravity lip lacquer. I love matte lipsticks and I've tried a couple of other affordable brands in the past, MUR's are proving to be the lip lacquers that are long lasting and very pigmented. The longer my lipstick stays on the better, it means no or little re-applying. 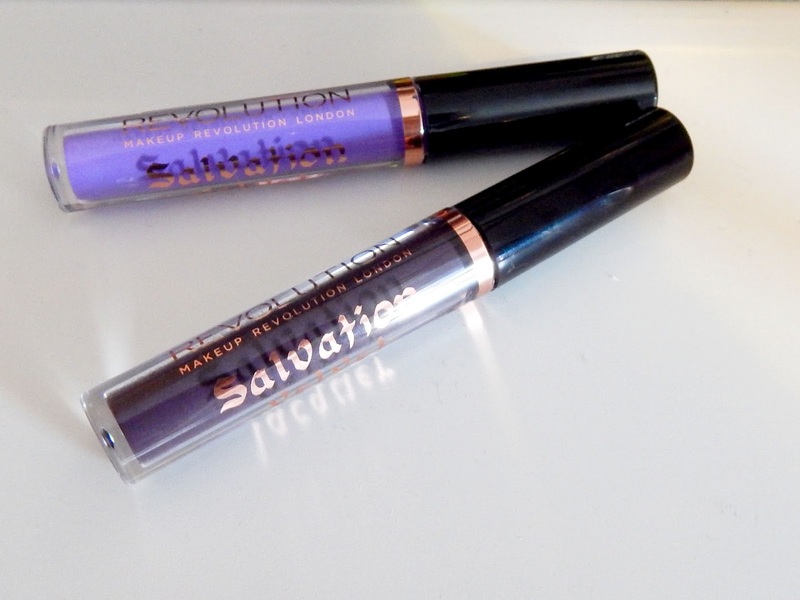 I've found that when wearing any of these salvation lacquers, I can drink and eat without it smudging and go hours, sometimes all night before re-applying on a night-out. This Black Heart shade is going to be great for the Autumn season, it's not quite black as it has a dark purple tint to it. So if your looking for a dark shade but not quite black, this is the shade for you. I still want a matte full black lipstick so my hunt is still on for that! Matte lipsticks have a tendency to dry lips out after wearing them, however MUR's lip lacquer don't seem to dry out my lips as much as other brands have done in the past. I always tell people to put on lip balm after wearing matte lipsticks though, just to help the lips get some moisture. Black Heart - Click here. 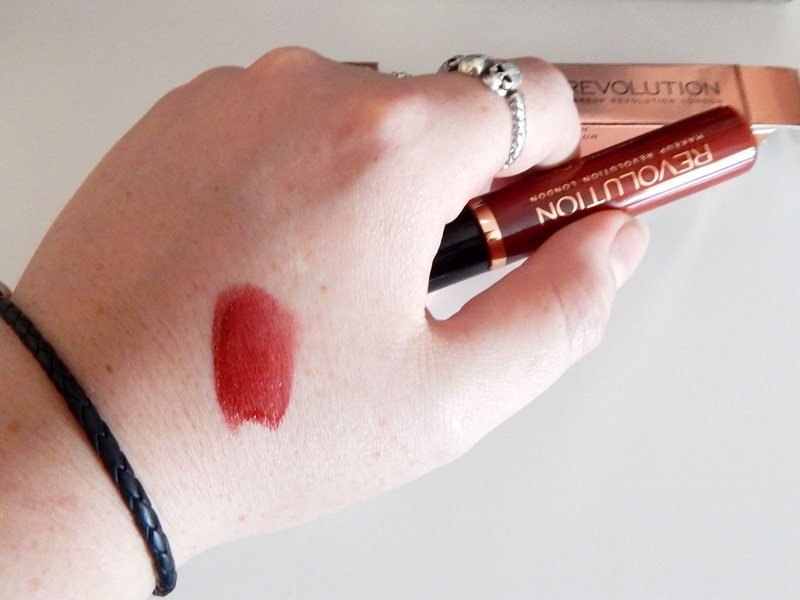 I've swatched the Velour Lip cream for you to see here as well, this lipstick feels light when being worn but does need to be re-applied more often than I would like. I'll stick to the Salvation Velvets. MUR is saving me from breaking the bank and helping my lips look good! 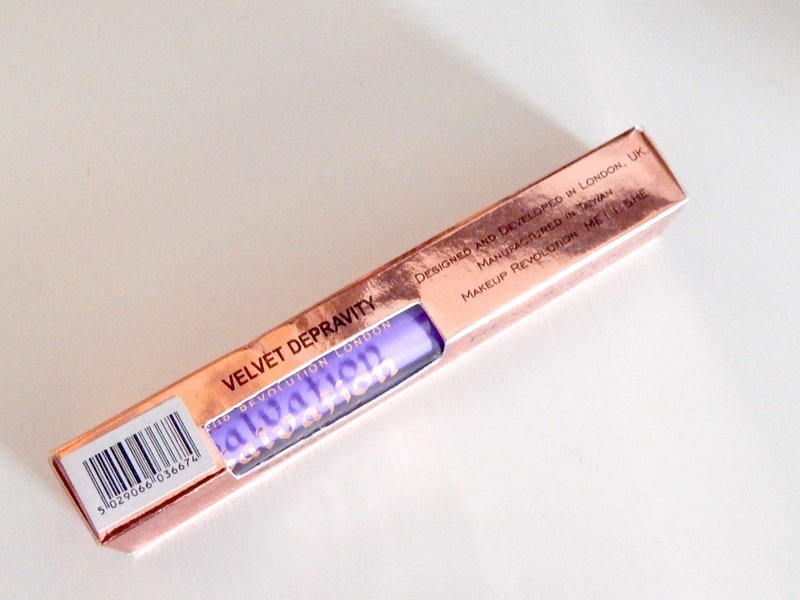 Again Makeup Revolution have pleased me with their good quality products at affordable prices, I made another order with them yesterday so keep checking back to see what I purchased!